GIVE THE GIFT OF LAUGHTER THIS HOLIDAY SEASON! Get ready to spend this holiday season laughing with Jim Breuer. Image Entertainment, an RLJ Entertainment (NASDAQ: RLJE) brand, brings you Jim Breuer: And Laughter for All on DVD on Nov. 26, 2013. Directed by Jay Chapman (Kathleen Madigan: Madigan Again) and starring comedian Jim Breuer, Jim Breuer: And Laughter for All will be available on DVD for an SRP $14.98. Marriage and parenthood won't keep die-hard metal head comedian Jim Breuer from losing his manic sense of humor in this hilarious live show where he recounts stories of accidental bomb threats and fighting an ostrich in front of his children. Amazon Review By Rizzo "Hilarious .... and it's clean! Jim Breuer, now at 45, shares a different take on his life, one an aging heavy metal banger, and parent to three daughters. 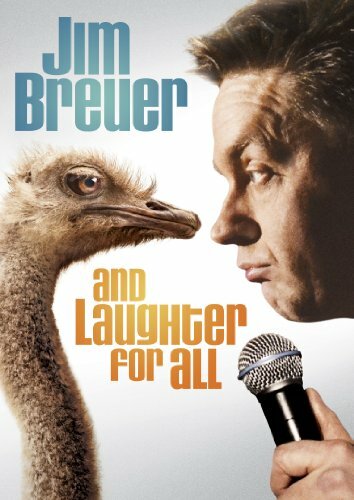 Most people know Breuer from Saturday Night Live, where he offered a variety of hilarious skits. He has always had a great knack for imitations."